Wickedness that was unimaginable in America just a few years ago, is now being celebrated in our country. I’ll show two examples of this, and then I’ll show you the root cause. Keep in mind as you read that these two events are only symptoms of America’s problem. That New York law means that a baby’s life can actually be terminated for almost any reason at any stage of pregnancy. In addition, it allows the killing to be done by non-physicians. Also, medical practitioners are not required to assist aborted babies if they survive the procedure. As unthinkable as it is, Cuomo’s signing of that bill was met with shouts of exuberant excitement. How sad! The other recent news item relating to abortion comes from the state of Virginia. Delegate Kathy Tran submitted House Bill 2491 that she admitted would allow abortion up until the moment of birth. This is an excerpt of an exchange between her and Delegate Todd Gilbert. 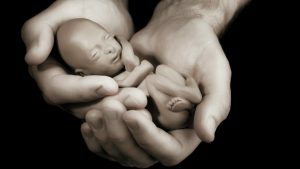 Evidently, Delegate Kathy Tran and Virginia governor Ralph Northam believe that a baby’s life can be terminated at any time, even after a botched abortion, even after a live birth! Killing human life is tragic, but let’s not miss the root cause of the change that has come in our country’s attitude toward it. The root cause is the refusal to worship the one true God. The Bible makes this very clear: “For even though they knew God, they did not honor Him as God or give thanks, but they became futile in their speculations, and their foolish heart was darkened … Just as they did not see fit to acknowledge God any longer, God gave them over to a depraved mind, to do those things which are not proper, being filled with all unrighteousness, wickedness, greed, evil; full of envy, murder, strife, deceit, malice…” (Romans 1:21, 28–29). Those verses make it plain that a refusal to acknowledge God’s greatness and glory leads to spiritual blindness that will accept things that at one time would have been considered unthinkable. The solution to wrong thinking begins when we humble ourselves before God and then acknowledge His greatness. “The fear of the Lord is the beginning of wisdom, and the knowledge of the Holy One is understanding” (Proverbs 9:10). Let’s just admit it; we all tend to live lives centered on our own pleasure and comfort. We live as if we don’t need the One who made us. We also live ignoring the One who died to rescue us from our sinful hearts. Carefully read Colossians 1:13-17. Jesus made unending life possible at a great cost to Himself. That is why followers of Jesus Christ celebrate human life in this world, as well as eternal life that will never end. “Whoever believes in [Jesus] will have eternal life. For God so loved the world, that He gave His one and only Son, that whoever believes in Him shall not perish, but have eternal life” (John 3:15–16). The spiritual life that God offers you can start right NOW! “For the wages of sin is death, but the free gift of God is eternal life in Christ Jesus our Lord” (Romans 6:23).